((Al-waqaaljadeed.com)) Sun., February 10, 2019/ Rebounds. 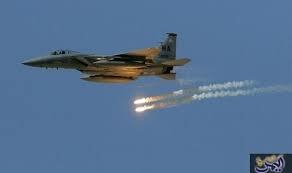 The Arab coalition fighters to support the legitimacy, launched several air raids targeting the movements of the Houthi coup in the Directorate of Kushar, province of Hajjah. The raids targeted militia reinforcements in the eastern part of the al-‘Abaisa area, which were on their way to positions of concentration in the Directorate. The raids resulted in death and injury among the militia ranks and destruction of the mechanisms of them.